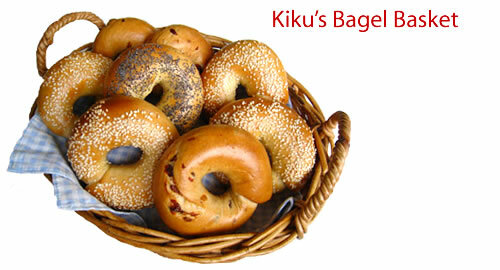 Kiku's Bagel Basket Open ! 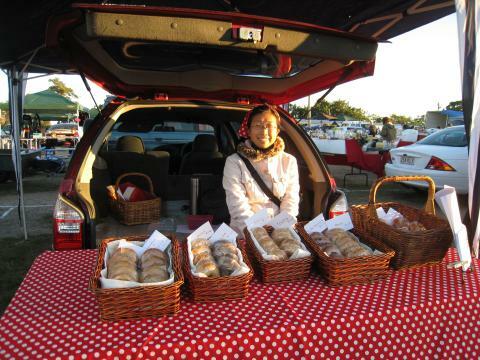 On 3rd August 2008, Kiku's Bagel Basket opened on the market first time. Started from 5:30 am, it was dark and cold. It's getting brighter...Kiku is in the sunshine. Plain(18),Poppy seed(9), Sesame(9), Onion(15), Wholemeal(14), Garlic(9), Double Chocolate(15), Cinnamon & Raisin(15), Everything(9), Mixed Fruits(16). "Garlic","Double Chocolate" and "Mixed fruits" were sold out. 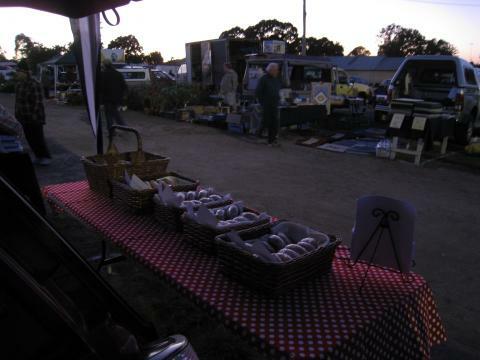 In total, 99 bagels were sold .Double chocolate was very popular and it was sold quickly. Thank you for coming. I will be there this sunday as well. 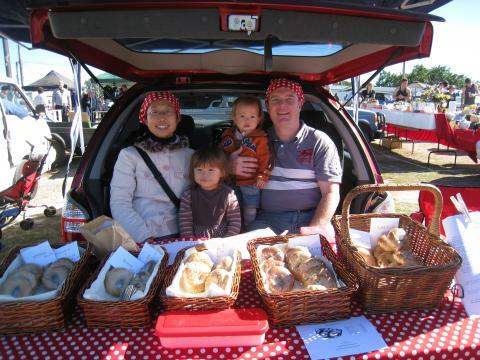 Kiku's Bagel Basket is a home based bakery that makes variety of Bagels and Japanese-style breads. Check out our new Bagel.